Campers will learn the fundamental elements of film-making. It will be an elective bristling with creativity and expression! We use Canon D700 Cameras and iMacs as our main equipment. You will learn about assembling, preparing and setting up equipment prior to filming, including the camera, tripods, lighting, cables & leads and headphones. Learn how to create great shots. You will get the chance to create scenes using different camera angles and composition. Get hands on practical experience of taking shots from different angles to create dramatic effects. Time to get creative! Brainstorm ideas on a film and put together scenes for the movie masterpiece. Help write the script and learn how to put together dialogue and scenes to create drama and action. Campers will get the chance to feature and star in your own movie. Learn how to act and perform in front of the camera. We will take you through what is required and what it takes to direct a film. You will be given the chance to direct scenes in the videos and be in charge for the day! Discover how to use special lighting & audio effects to enhance your shots. Learn how to cut the shots, place them in order, create and input effects and ensure sound and picture quality on the films. You will gain the experience of putting the films together on our Apple laptops. Our camper-made video - Keep your head up. 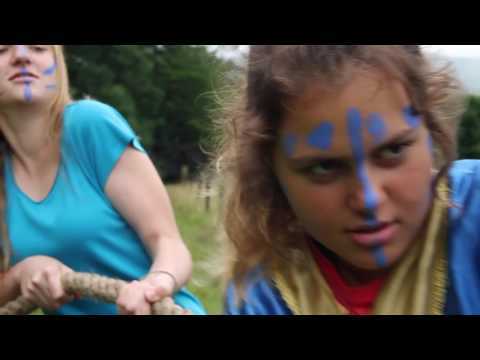 This fantastic video was made by a creative group of campers who wanted to focus on visuals and imagery rather than dialogue. It captures the spirit of Camp Cooper perfectly and we have ended up using some of their footage in our main Camp Cooper Promotional Video. Well done everyone! This camper made video is brimming with parody, creativity and great technical skills. The campers had a blast making this and the video is used as example of what can be achieved with some creative minds and teamwork. A camper made video full of fun, energy and great camera work. The filming and editing skills by the campers made it look like a one-continuos shot although it was filmed in a more traditional way. I think the campers loved starring in the video! A group of campers used our famous V&C legend as a story for their video. 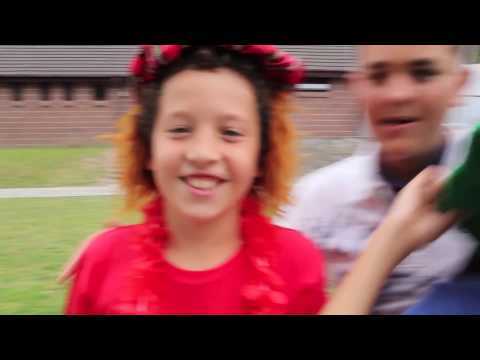 The campers showed-off their fantastic acting skills in this video!